The holiday season is in full swing and if you’re still looking for a fun and unforgettable way to spend New Year’s Eve then look no further than Niagara’s annual New Year’s Eve party in Queen Victoria Park. Ring in 2017 just steps away from the magnificent Niagara Falls at one of Canada’s longest-running and most popular New Year’s Eve celebrations. This year’s live show features an all-Canadian musical lineup with Sam Roberts Band, Serena Ryder, and High Valley taking the stage and local band James Blonde opening the show. The celebration in Queen Victoria Park is free for everyone and starts at 8pm. It will also feature great food and drinks and offer an outdoor licensed area. And to top it all off, there will be a fireworks show over Niagara Falls at midnight to help you ring in the New Year in spectacular fashion. 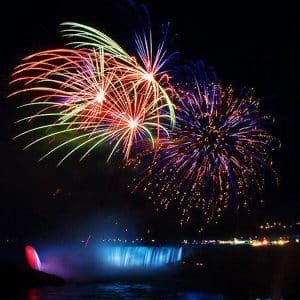 Stop by for the night or make your New Year’s Eve in Niagara Falls into a remarkable getaway with a Fallsview room at the Sheraton on the Falls. You’ll experience unparalleled views of the waterfalls and a location right in the heart of the city’s tourist district. The Sheraton on the Falls hotel also offers a one-of-a-kind New Year’s Eve package that includes one night’s Fallsview accommodation, access to a spectacular gala, a delectable New Year’s Eve buffet dinner at the Fallsview Buffet Restaurant, champagne at midnight, and party favours. 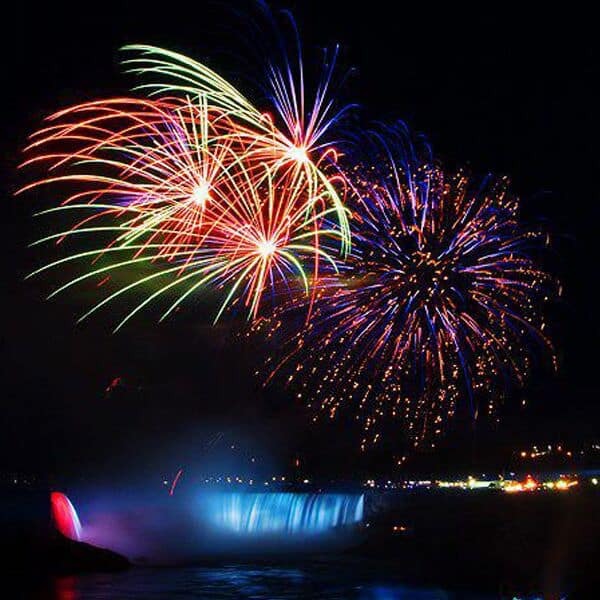 Make this a New Year’s Eve to remember and start planning your visit to Niagara Falls today!